Only a week after the last visit, here I am, back at the Tyne Theatre. But this time I’m accompanied by my mate Saz, who I‘ve dragged along for the ride. Foil Arms and Hog are an Irish comedy trio who I first came across last year when I saw this video, at which point I decided I had to watch quite a lot more on their Youtube channel. Anyway, about an hour later down the youtube rabbit hole I discovered that I really liked them! Then I discovered that they’d been playing in Edinburgh when I was there last summer, and that they were going to be on tour this spring. Well, it would have been rude not to, so here I was. From the outset they like to mess with some of the usual comedy show conventions, making an unusual entrance and playing with the theatre space. Another feature of things is that they do involve the audience, and particularly certain individuals in the audience. Be warned: don’t sit in the front row if you’re not a fan of audience participation. They are very funny, and each performer has a very distinct persona. The first half is decent, but does feel a bit slow in places. It may be partly because the audience hasn’t quite fully bonded with them yet - some of this material sounds newer, and also looks to work in some opportunities to improvise, which doesn’t always entirely work. Maybe the venue size doesn’t help either, because some of this stuff possibly works better in spaces where you’re closer to the performers and can see nuances of expression more easily; they are very expressive performers. But there are still more hits than misses, and it also shows they are willing to take a few chances and busk it, which feels refreshing and creatively a bit more adventurous. For these reasons I find that I like them a great deal. At which point, the interval arrives and I wander off to the merch stand. I mention this because yer man on the stall is chatty and very helpful, even though the very nice sweatshirts they’e selling don’t come in my size. But I do buy some DVDs. While the first half may have been a little uneven, the second half feels much tighter and stronger, and possibly this is because it is using more tried and trusted material. This is where the big comic punches land, including the class on how to hold a baby, a Gregorian chant about life as a monk, an Irish family intervention, and advice on what sort of gun you need to kill an actor. But this isn’t all, because in amongst all of this is more audience particpztion. They specifically pull back people they picked on in the earlier part of the show, and frequently call back to earlier gags from the first half. In fact, one of the great things about the show is one of the people they chose to pick on: Ollie, who turns out to be from Sunderland. This alone helps no end for getting a reaction from the crowd, and he makes an enthusiatic participant (especially in one good sketch about playing with the fourth wall in performance). But the best part comes towards the end when, as part of a gag, Foil takes his wallet, and pockets a fiver only to see some ID that shows that the hulking beardy Ollie is in fact a policeman! Little bits of pleasant synchroncity like this can only make some shows even better, and this happens tonight. 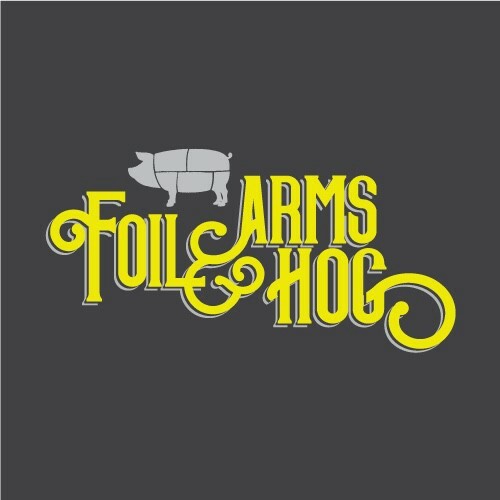 Foil, Arms and Hog are very talented indeed, and when the material works, as it mostly does, then they are a joy to watch. Their live show is sufficently different in tone from the video material (which works to show off the expressiveness thay have in spades) to show they have a great range, and it will be interesting to see how and if they can make the transition to more mainstream attention. I certainly want them to, as I think they have lots that a wider audience would love to see.